I knew I wanted to make a bracelet using my Asian Hearts Trollbead (bottom right), but I didn’t want to take apart the Pandora bracelet from a couple of days ago, so I started from scratch. 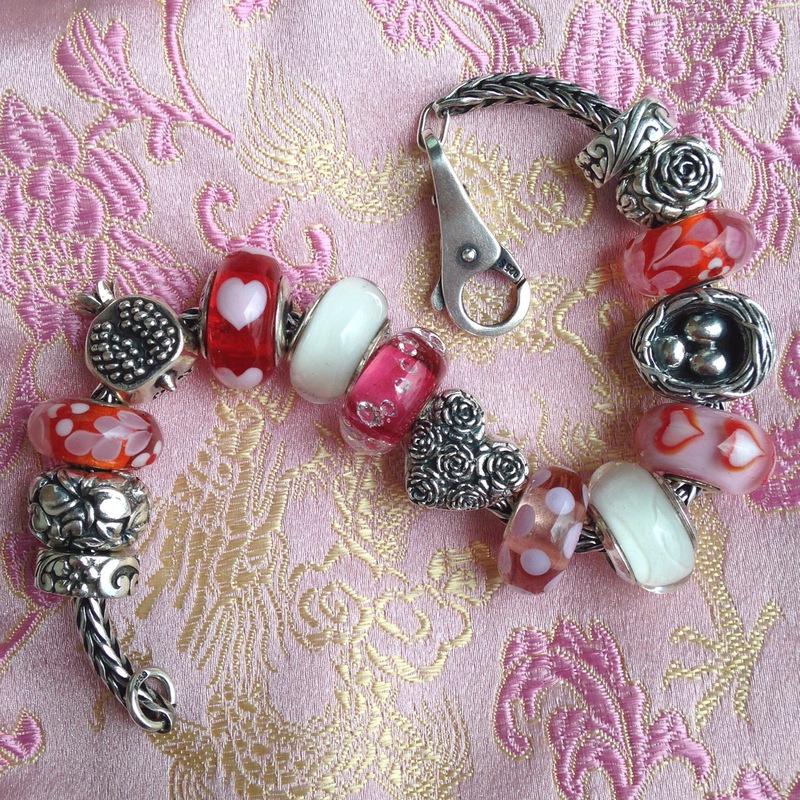 I pretty much always build a bracelet from the middle out, so I started with the Redbalifrog Heart of Roses and added some glass beads. 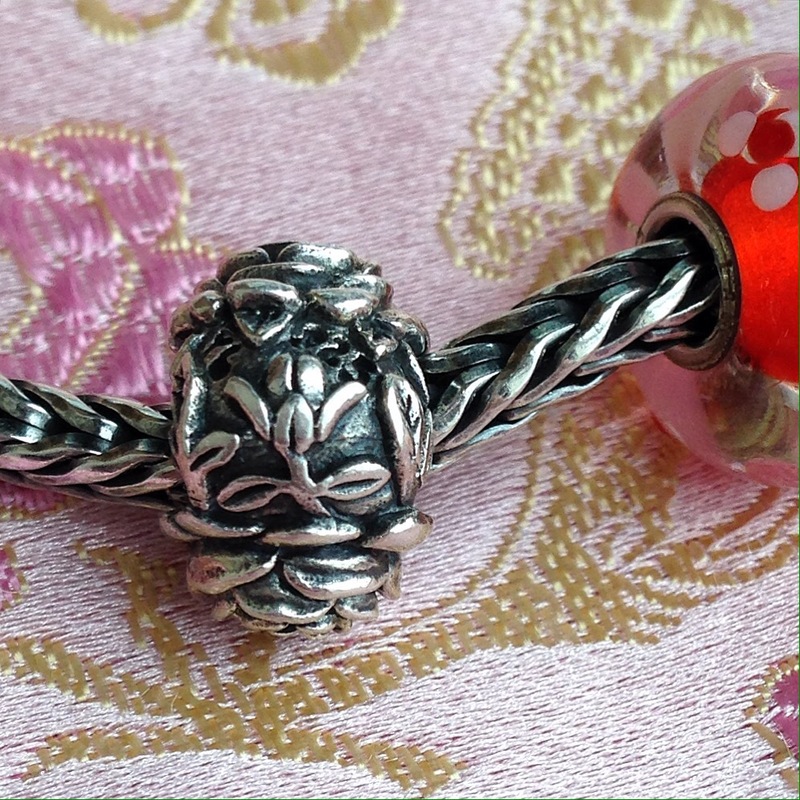 The Redbalifrog Roses charm has lovely detail all the way around it. 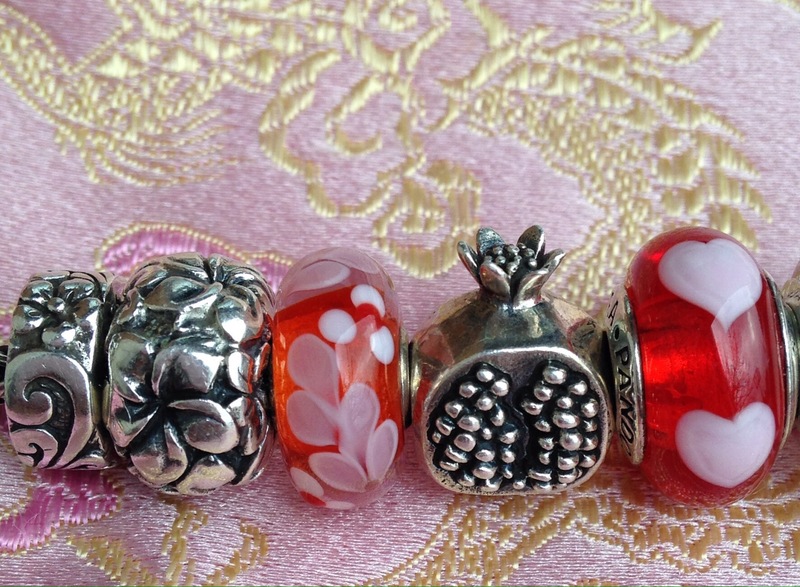 Left to right below are the Redbalifrog Hawaiian Floral stopper, Frangipanis Forever, a Trollbeads unique, Pomegranate and an old Pandora bead. I like how it looks with the Pandora bracelet. 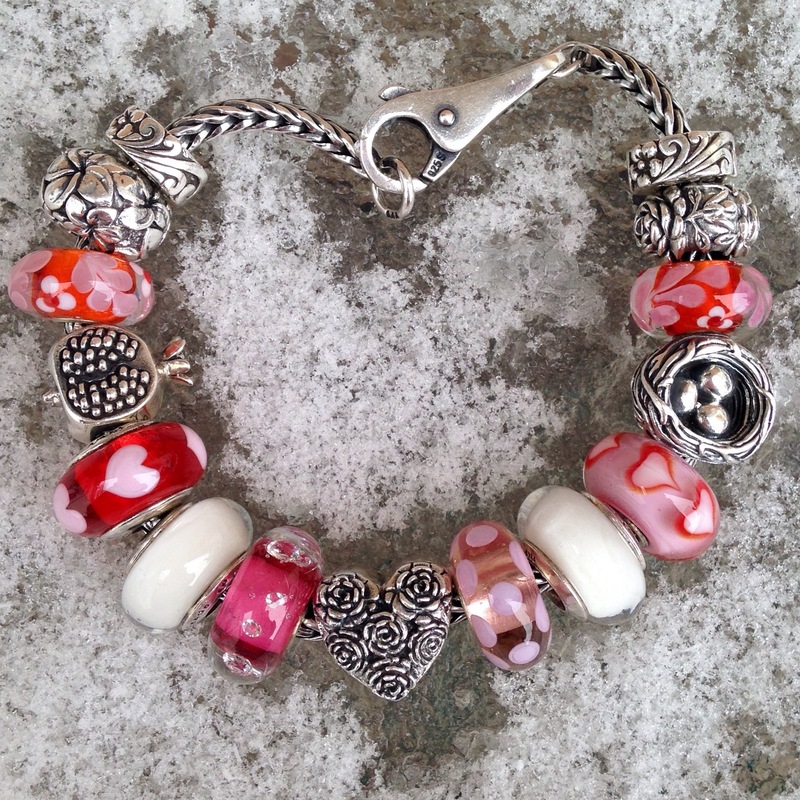 Has anyone else been wearing Valentine’s Day themed bracelets this week? Are you waiting for the weekend or not bothering at all? All silver beads are by Redbalifrog. Beads 2/6/8/10/12 are by Trollbeads. Beads 5/9 are by Ohm Beads. 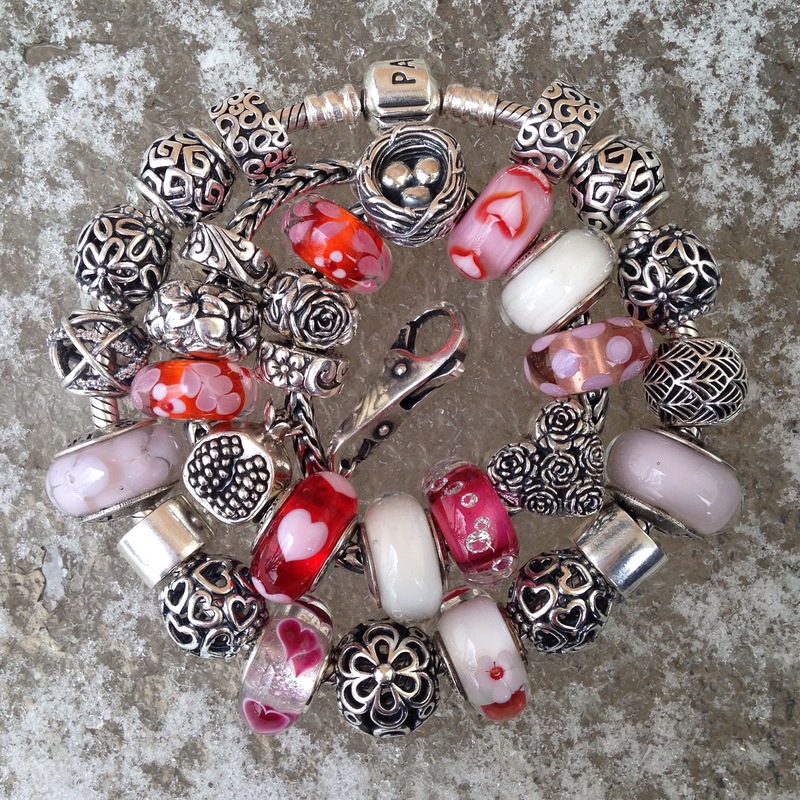 Bead 4 is by Pandora. Very pretty Martha! 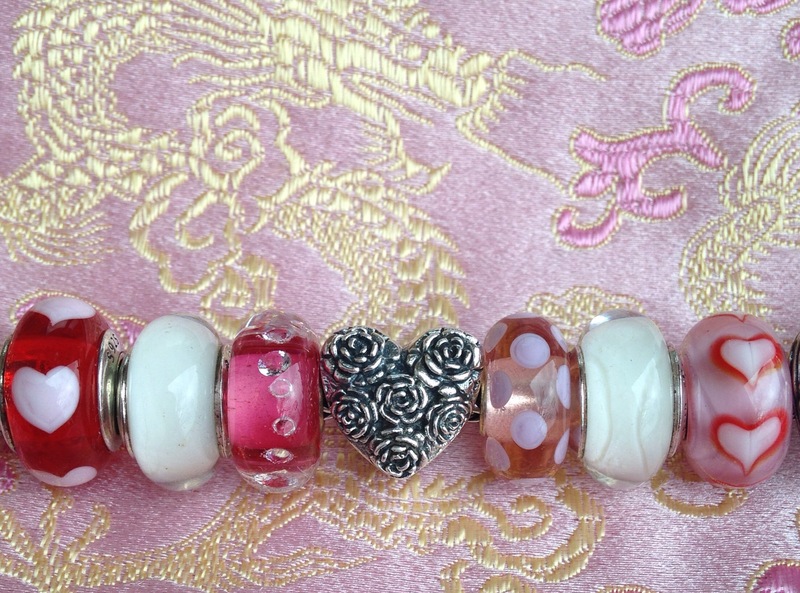 I’ve been wearing my Valentine themed bracelets too ❤ I love hearts all year though! Thanks Natalie! It’s a fun time of year especially if you like pink and red!